This model is designed to safely and economically remove paint, powder coating, lacquer, varnish, grease, and other substances from metallic parts. 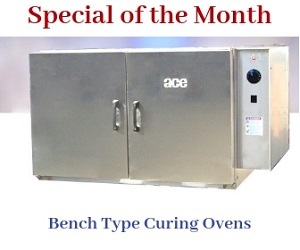 This oven operates at high temperatures, ensuring complete part cleaning with minimal or no secondary cleanups. The rugged construction with steel enclosure, aluminized coating inside enclosure, and 4" thick blanket insulation make this model highly reliable for corrosion prone industrial environments. Quality tested raw materials and heavy duty components are utilized in constructing 3189-RT burn off oven. Due to this superior built, the oven is capable of withstanding regular user abuse and harsh environmental conditions. At least 11 Ga. steel is utilized in its manufacturing, adding to its robustness and durability.